We are happy to stock the brilliant Compact Mid-Wheel Drive Power Chair, Burgundy. With so many on offer right now, it is great to have a brand you can recognise. The Compact Mid-Wheel Drive Power Chair, Burgundy is certainly that and will be a perfect acquisition. For this great price, the Compact Mid-Wheel Drive Power Chair, Burgundy is highly recommended and is a regular choice for many people. Ctm have provided some great touches and this means great value for money. 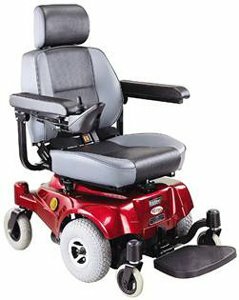 Compact Mid-Wheel Drive Power Chair, Burgundy The mid-wheel drive HS-2800 Power Chair features a patented Anti-Tip wheel design that keeps riders safely on course. 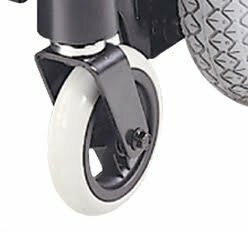 Its extra-tight turning radius easily handles corners and curves with simplicity using flat free tires. 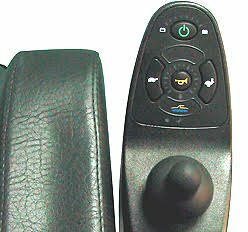 Standard features include a Shark controller with joystick, a 19“ mid-back seat with an adjustable headrest and seat belt, and an adjustable footplate. With the body styling that covers all suspension parts, it creates a beautiful sleek profile. - Maximum Speed: 4 mph - Capacity: 300 lbs - Strong and Responsive Anti-Tip Wheels keep you SAFELY on course. - ZERO Effort Free Wheel Lever - Swing-Away Joystick lets you pull right up to any table. For an additional fee, you may wish to take advantage of our "White Glove Service". Be sure to ask for details when placing your order. Product photo may not exactly match the product offered for sale. Please refer to the product description.